Step 1: Understand why you want to trade bitcoin and cryptocurrency. Step 3: Set reasonable income and return of investment (ROI) target for the next 6 to 12 months. Step 5: Prepare yourself for trading success. So you want to start Bitcoin trading and other cryptocurrencies? 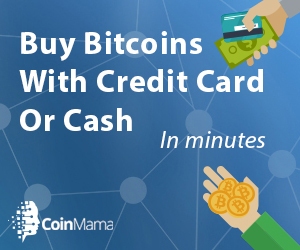 Recent rise of Bitcoin and the hype surrounding it enticed many to start trading Bitcoin. Do you watch a Youtube video or a social media tweet on Bitcoin and think, “OMG, look at all those people making money! I don’t want to miss the bandwagon. Maybe I should get in on that!.” Well, there are certainly many opportunities to make in Bitcoin trading. However, jumping onto the bandwagon without knowing what you are doing is risky. Imagine buying Bitcoin at 20,000 and it dropped the next day to 5,000! If you get on the wrong side of the market at the wrong time, you could end up losing a lot. In this article, we aim to cut through the current cryptocurrency euphoria, and outline some basic principles to help you start trading Bitcoin or any other cryptoassets. Getting things right from the first step is will save your money in the long run. Before you start trading there are 4 questions you need to ask yourself. Believe us this will help you to become a better trader in the long run. There are lots of hype on the social medias on how easy to make money trading cryptocurrency. Compared to stocks and forex, Bitcoin is a new. The market has not matured to that of stocks and forex. We are not saying that bitcoin will follow the steps and pattern of stocks or forex. But we will hold the same principles that markets, price, bulls and bears are driven by humans. When we take action to buy or sell and start trading bitcoin , the decisions will be influenced by emotions : hope, greed and fear. Nancy (not real name) shared her bitcoin trading experience in one of crypto forums. In early 2013 she bought USD 5,000 worth of bitcoin at the price BTC/USD of 189. Nancy was excited and admitted she was swayed by all the hype she read online and watch on Youtube, many by self-proclaimed trading gurus. Starting April 2013 Bitcoin price turned bearish and Nancy panicked. She sold all her Bitcoin at a whopping 45 percent loss of her hard earned money. People invest for many reasons. Everyone is unique. Obviously you want to make more money. Whatever your reason is, the key is to take trading seriously and avoid the “compulsive gambler” mindset. Trading is not gambling. But be more specific, what is your ultimate goal from trading Bitcoin. Here are some examples. I have some savings but the rate of return is low. So I’m planning to apportion 20 percent of my savings for cryptocurrency trading to increase my savings annual yield. I want freedom of time, and planning to trade for a living. I love to see cryptocurrency price fluctuations and would like to try trading to cover my monthly rent. Rule of thumb: whatever the amount you can allocate, it should be a figure that if completely lost would not affect your ability to pay your debts, food, bills and other living expenses. This may seem counterintuitive. But think worst case scenario first. Decide how much money you are willing to lose and work you self up from this worst case scenario. Rule of thumb: If you are a beginner to cryptocurrency trading give your yourself reasonable time to succeed or at least learn something. Losing money is not everything, the experience and lessons learned worth much more than losing. Set a reasonable earning target relative to your allocated trading capital determined in Step 2. Test the water before diving in. 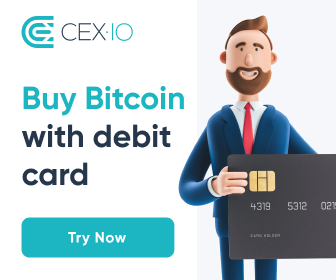 If you’re interested to start trading bitcoin, why not open a demo account. Most trading platforms offer full functionality to test their trading platform. Use a demo account to test you trading plan until you are ready to start with a real account. Start small and systematically scale up your trading position size. Choose a cryptocurrency exchange, may be one or two for trading. The bigger and higher liquidity (many active buyers and sellers) are preferred. Consider how much trading fees or commission you have to pay for each trade. Security is another important consideration. Another common pitfall with exchanges is slippage. Pick and understand the top 3 cryptocurrencies to start trading for example : Bitcoin (BTC/USD), DASH (DASH/USD), Litecoin (LTC/USD). Learn and develop trading techniques and test with your demo trading account. There are many Youtube videos giving free lessons on trading techniques. At the time of writing this article there are not many worthy Youtube lessons specific on trading Bitcoin. Alternatively, forex trading strategies and techniques can be applied to trading Bitcoin. An example of free trading lesson channel on Youtube which can be applied to Bitcoin trading is Urbanforex. Urban Forex was founded by Analyst Navin Prithyani in 2009 with a vision to provide quality and transparent information to the forex community. Learn technical analysis to read chart. Coinigy.com is professional cryptocurrency trading platform.